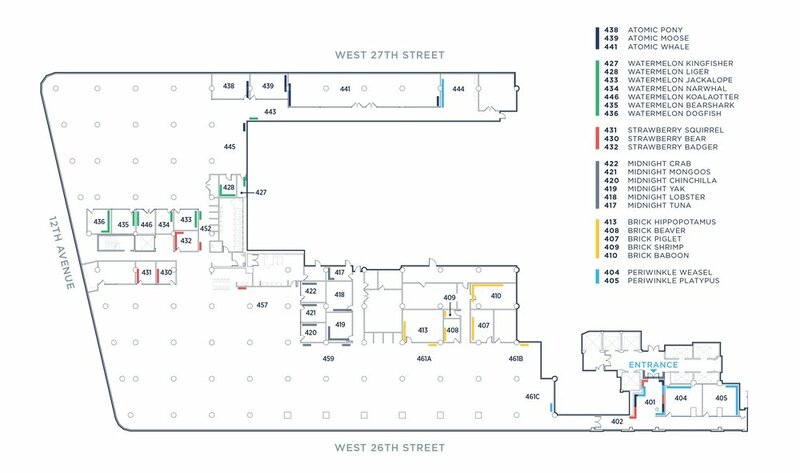 With 26 conference rooms and a floor plan that spans half a New York City block, this startup needed a system to navigate their space. I worked with stakeholders to name and organize the conference rooms with their brand colors. 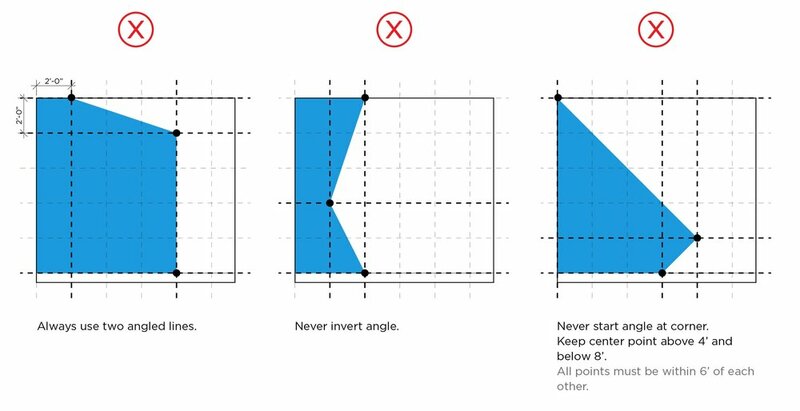 I designed a flexible system for creating playful shapes for the conference room accent walls. Accent walls and door signage were used to identify conference room clusters from afar. We worked with illustrator, Mike Shae, to create room mascots such as Brick Piglet, Brick Beaver, and Brick Baboon. 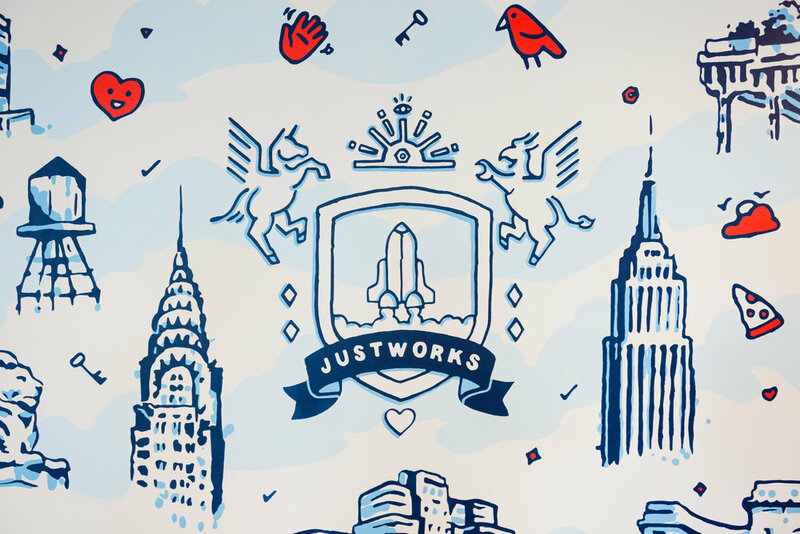 Serving as the design liaison for the project, I worked with the illustrator, Gavin Snider, to concept and execute a mural that showcases landmark New York City buildings, company icons, and other brand elements.